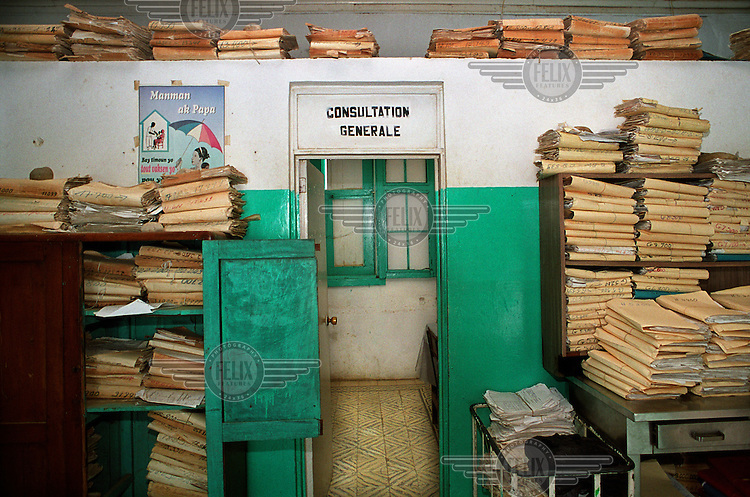 General consultation room in the hospital of Port de Paix. The hospital is in dire need of renovation, with a leaking roof, administrative chaos and a lack of medical instruments. But the head of the hospital also runs a private clinic nearby which is higher up his list of priorities.